Seniors Achieving Greater Education [SAGE] will host its 20th Anniversary Fall Kick-off event at 10 a.m. on Friday, Sept. 8 in the Campus Center Multi-Purpose Room. 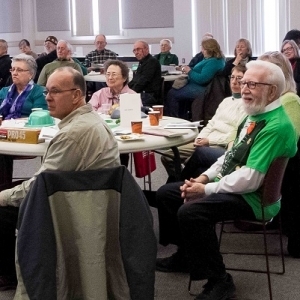 SAGE is a Special Program of the University of Maine at Presque Isle that serves local residents over 50 and believes in “learning for life.” The Kick-Off is open to all; come and bring a friend. No registration is necessary. 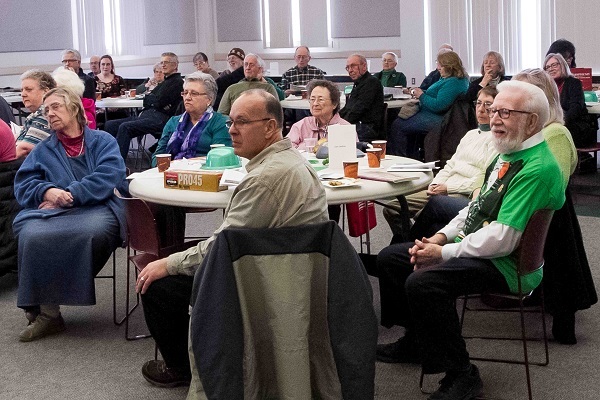 SAGE welcomes intellectually curious older adults, with a desire to learn in the company of others, with both shared and different perspectives. It brings members together in a relaxed atmosphere to discover new things about the world and about themselves. SAGE has no entrance requirements, grades or tests, and no college background is needed. Another benefit is that course instructors and facilitators are local people who have a deep love and knowledge of the subject they are presenting. At 10 a.m., SAGE will kick off its 20th anniversary year with recognition of founding members and a performance of the brand new SAGE Song, written by Gary Bowden. Attendees will have the opportunity to learn about this fall’s SAGE classes and activities from instructors and to brainstorm for new SAGE classes. New and current members will be able to register for classes and activities at the event. This fall, SAGE will offer 24 exciting courses, learning events and excursions on topics ranging from Alexander Hamilton, Classic Cinema, Basic Editing of Digital Photos, Our Brain While We Age, Fanciful Hand Lettering, and The Impact of the Model T. One-day classes include How to Protect Your Personal Info from Identity Thieves, Decorate a Gingerbread House, 19th Century Bisque Dolls, Reliable News in the Age of the Internet, and Writing Poetry for regular Folks. Learning excursions include trips to Red River Camps, Nylander Museum, and Susan Gerard Pottery in St. Agatha. The SAGE Fall Session will run between Sept. 26 and mid-November. Courses generally meet once a week for approximately two hours and are led by volunteers, either SAGE members or guests. Course formats range from lectures and discussions to hands-on learning. Additionally, one-day classes and excursions are offered. Membership in SAGE is $22 per session or $42 for both Fall and Spring Sessions (Sept. 1 to Aug. 31). Courses are free for members, who are encouraged to take as many courses as they’d like. Some hands-on courses and field excursions have additional fees and some courses may require the purchase of a book. Full or partial scholarships are available. SAGE members also have free access to most events sponsored by UMPI’s Cultural Affairs and Student Activities Board by showing their SAGE membership card. Members can participate in SHARE a RIDE as either a volunteer driver or passenger. Information about this option is included on the SAGE Membership/Registration form. SAGE is one of 17 senior colleges in the Maine Senior College Network, and one of two senior colleges north of Bangor. For more information, email lydia.kieffer@maine.edu or call her at 207-768-9502. To view SAGE fall course offerings and a registration form, please visit www.umpi.edu/sage. You can also follow SAGE on Facebook.